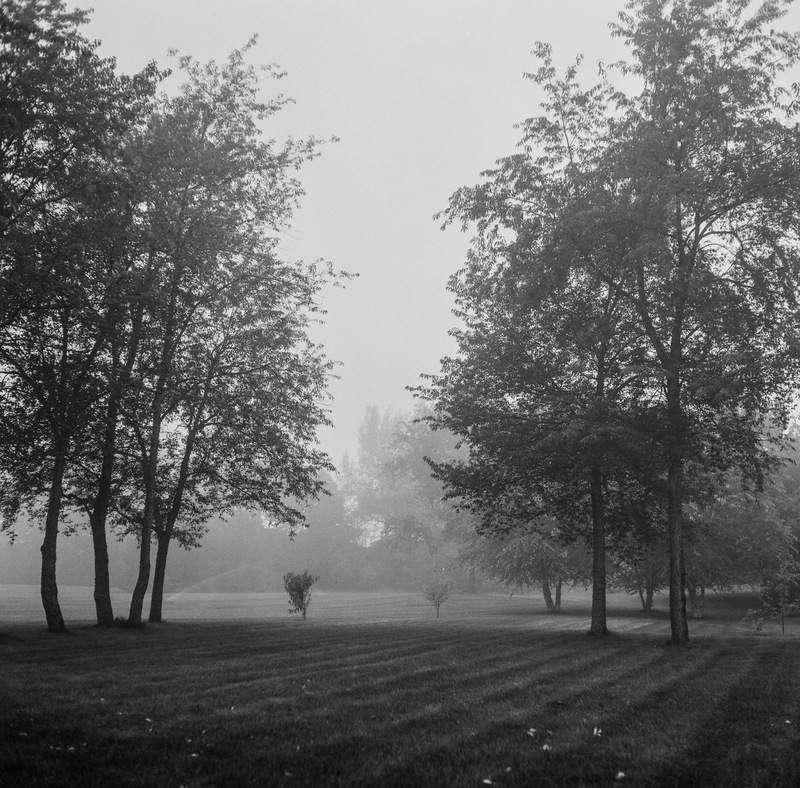 A photo of my backyard during a foggy morning using a mint Yashica MAT-124G that I purchased this summer at Roberts Camera's used section. This is a classic designed TLR. Very Vivian Maier-like camera. This photo was taken using Ilford XP2 400 Super B&W film. The camera takes some getting used to if you've never shot a TLR. However, I've shot about 5 rolls through it and really digging it.